Soles4Souls preparing a Bearpaw donation for Hurricane Harvey victims. On the evening of Aug. 25th, Hurricane Harvey made landfall along the Gulf Coast, bombarding a large swath of Texas with winds up to 130 mph and dumping more than 50 inches of rain over the ensuing week—the highest amount ever recorded of any tropical storm or hurricane in the lower 48 states. This wasn’t any 100-year flood; this was more like a once-in-a-millennia-sized deluge that claimed the lives of 77 Texans. The estimated 27 trillion gallons of rain that fell over parts of the state over the course of the six-day storm was nothing short of catastrophic. More than 30,000 people fled their Houston-area homes alone—many with just the clothes on their backs—as floodwaters rapidly rose and destroyed all their worldly possessions. 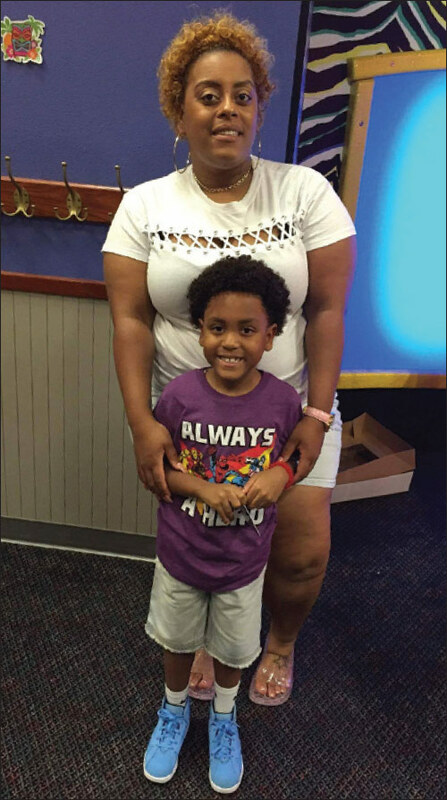 Norma Laws and her son Jo’Syah, 7, were aided by the Two Ten Foundation. Neal Newman, president of Two Ten Foundation, says the organization has done everything in its power to assist industry members impacted by the three hurricanes—just like it has done following previous natural disasters and will do in ones, unfortunately, to come. He estimates the response to these recent storms is likely to exceed that of Hurricane Katrina and will be just shy of what it did to help victims of Superstorm Sandy. “With Sandy, we had 463 families who received about $290,000 in emergency assistance, whereas with Katrina it was 329 families and $160,000 in aide,” he says. Newman recommends that people still in need of assistance contact Two Ten at socialservices@twoten.org, to set up an appointment to speak with one of its social workers. The response time is faster, he says, but people can also call Two Ten at (800) 346-3210. The charity will respond usually within 48 hours. “Once their industry status is verified, we’ll cut a check that can be delivered to pay a bill or get money into their hands to rent a car, buy food, clothes, etc.,” he says, adding that it can deliver up to $1,000 right away. “If there are more complicated issues they need help with, we can try to provide additional financial help,” he adds. Red Wing Shoe Company donated $500,000 in work boots, shoes, socks and coveralls to Hurricane Harvey first responders and victims. 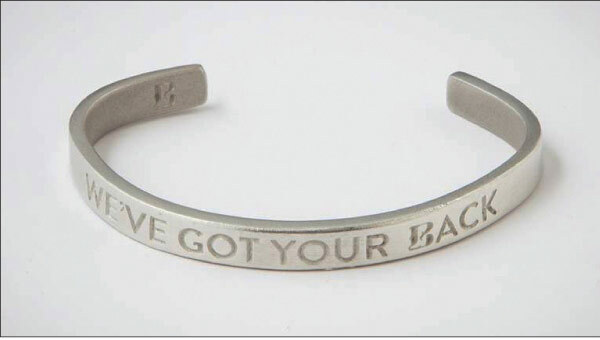 Bracelet given out to Boot Barn employees affected by the storms. 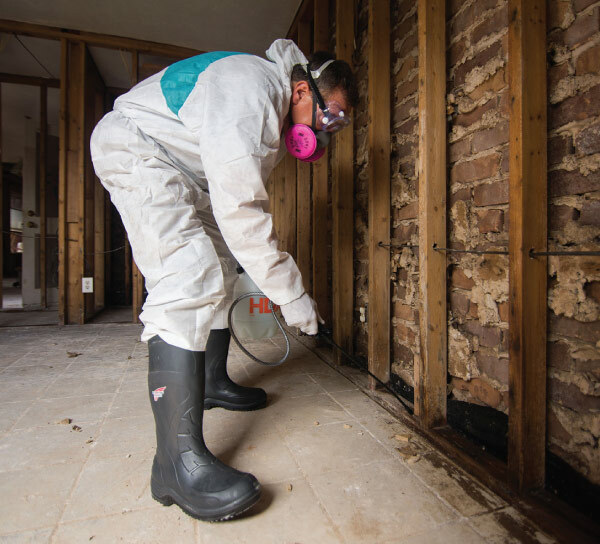 Compared to other industry responses to disasters, Buddy Teaster, president and CEO of Soles4Souls, reports Harvey ranks third behind the 2010 earthquake in Haiti and Super Typhoon Haiyan, which rocked the Philippines in 2013. “We have upwards of 150 companies who have committed to donating product, which is a tremendous response,” he says. Teaster adds that many companies even waived their policy of donating products within the country to prevent counterfeit or reselling of goods. “In a time like this, those products are highly valued and these companies have stepped up to help those in need,” he adds. 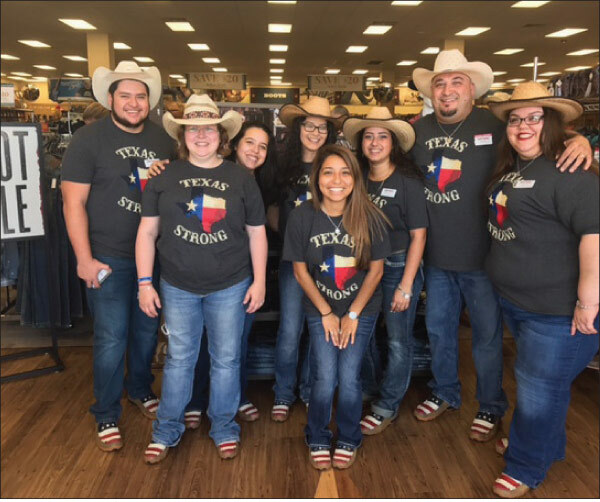 Baytown, TX, Boot Barn employees, several of whom lost everything in Harvey, show their gratitude to Twisted X for the shoes—part of the 10,500 it donated to victims. The list of brands and retailers who have stepped forward is as extensive as its impressive. It spans all categories and tiers of distribution as well as involves numerous local and national charities. 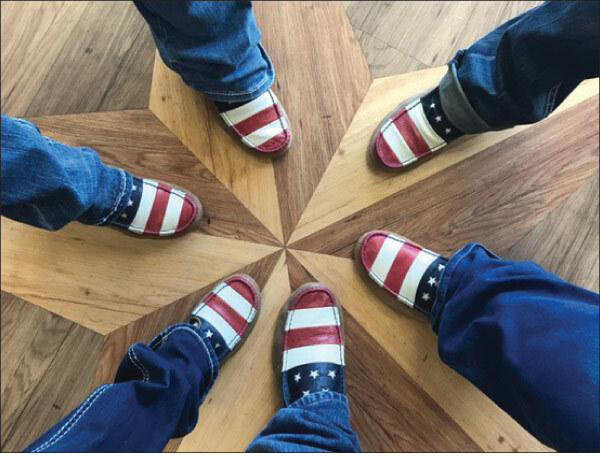 Red Wing Shoe Company, for example, partnered with Good360 to donate and distribute $500,000 in work boots and coveralls for first responders, as well as socks and footwear for individuals whose lives have been affected by hurricanes Harvey and Irma. The company’s philanthropic arm, the Red Wing Shoe Company Foundation, also contributed funds through its “Partners in Sharing” program by matching employee and retiree monetary donations to qualified charities. CEO Mark Urdahl says Red Wing has about 100 stores it does business between its flagships and retail partners in the Texas and Florida areas affected by the storms. “Protection of our employees was our No. 1 priority,” he says, noting about 10 of its employees had to be evacuated and a handful suffered flooding in their homes. “We monitored employees every day to make sure they were safe,” he adds. Urdahl says Red Wing’s concern for people impacted by the storms extends well beyond its employees. As a 110-year-old, family-owned company, he says it has a long-term perspective and believes helping those in need is just good business. “We’re a community of long-standing relationships with vendors, employees and customers, and this is the right thing to do over the long run,” he says, citing the company’s guiding principles of respect, integrity, community and excellence. “It’s what we do, and while we don’t do it for publicity’s sake, our employees and our customers are proud of our efforts,” he says. Urdahl believes such corporate philanthropy can also be contagious. “It sets a tone for other organizations that maybe they should so something too,” he says. Every bit counts. 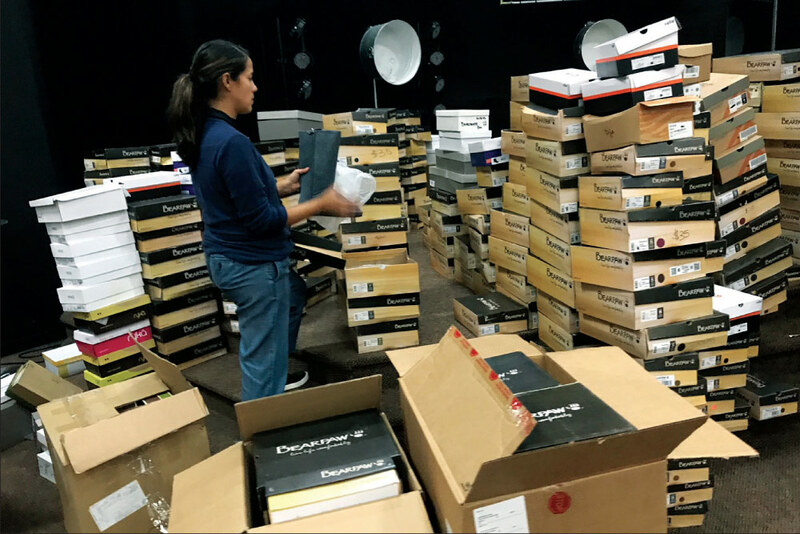 Rack Room Shoes and Off Broadway Shoe Warehouse chains, for example, made a $25,000 donation to the American Red Cross following Irma and Maria and is working with Yolanda Navarro-Black Houston Shoes for Kids to distribute shoes to children in need via the Houston Independent School District. The retailer has also set up two websites through the Red Cross, one for associates and another for customers to donate. “Helping the communities we serve is imbedded in our DNA,” says Mark Lardie, president and CEO, noting part of the mission statement of its parent company, The Deichmann Group, states that the company must serve the people. “Establishing consumer trust through a host of non-profit partnerships is a hallmark of our brands,” Lardie says. That’s why when the headlines of these storms drop from the news cycle, the chains will still be helping people get back on their feet. “We know the impact of these storms for many families will continues for a significant amount of time, and we’ll continue to help local organizations by offering donations and discounts to numerous charitable organizations,” he says. A long-term commitment to helping is critical, according to Teaster, who says 80 percent of funds are usually donated in the first week after a disaster. But organizations like Soles4Souls are in the second wave of relief. “The country might move on to something else in a few months, but victims will still have muddy houses,” he says. “After Hurricane Sandy, we probably visited the same community twice a year for two or three years after.” Teaster asks that companies keep Soles4Souls in mind year-round, particularly in January when any old inventory purges might be made and the charity will still be responding to Texas, Florida and Puerto Rico. If inventories are low, he says cash and gift card donations are always welcome. Skechers is taking a similar comprehensive and long-term approach to its hurricane relief efforts. The company quickly donated tens of thousands of shoes and socks to those affected by Harvey and Irma in addition to donating $10,000 to Best Friends Animal Society via its Bobs for Dogs charity program to help pets in those regions. “Our ties to these communities and the surrounding regions go back two decades with many friends and extended family impacted by the storms, so we have heard first-hand reports about the widespread need and have been working to lend our support,” states Michael Greenberg, president, adding that plans are in the works to also help Puerto Rico once conditions allow. Because the severity of conditions vary, Skechers is orchestrating donations in multiple phases to address a variety of needs. Immediate local product donations in Texas, for example, were organized through its stores in the region and Children’s Hunger Fund. Additional product was distributed through Skechers’ home base of Manhattan Beach, CA, and its new sister city, Cleveland, TX. The company also partnered with Delivering Good (formerly K.I.D.S./Fashion Delivers), Children’s Hunger Fund and Stage Stores (parent company of Palais Royal, Stage and Bealls chains) on a Bobs from Skechers donation event for kids in the greater Houston area last month. Kids received school supplies donated by Stage, in addition to a pair of Bobs. To help those impacted by Hurricane Irma, Skechers is teaming with Neighbors 4 Neighbors, a charity founded by CBS Network following Hurricane Andrew, as well as Farm Share and the Entercom Miami Radio Stations. The company is donating thousands of pairs of socks and shoes for men, women, and kids. O Loves M, a Colorado-based bag maker, has also taken a long-term view, specifically in support of retailers affected by Irma. Merle O’Brien, owner and designer, created a collection of American-made handbags to be offered at a special discount so retailers can create a mark-up that provides a greater profit margin to help with funds needed to rebuild. “I feel it’s important to give store owners some relief so they can rebuild their businesses and livelihood,” she states. The list of footwear-related wholesale and retail companies as well as individuals who have come to the aide of millions of people impacted by these hurricanes is far too long to include in its entirety here—and that’s definitely a good thing. The industry’s collective generosity is exemplary.